*Price based on sharing twin/triple bedded huts, private single huts available at an additional cost. Its hard to believe that this fantastic location of outstanding natural beauty is only 30 miles from London. 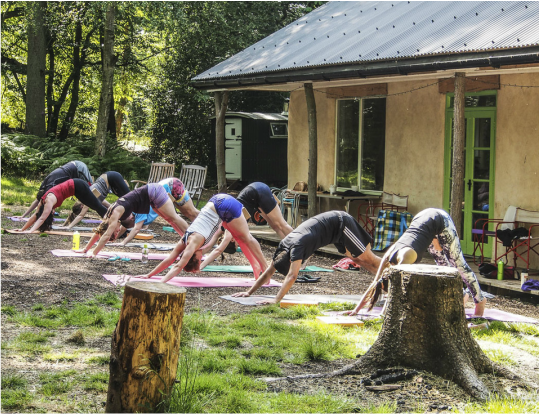 The Green Escape on Leith Hill, in Surrey, is an eco friendly venue within 6 acres of secluded woodland. The nearest neighbours, are a flock of sheep in the field outside! We will be sleeping in amazingly kirky and kitsch Shepard's Huts .Traditionally used by shepherds to keep an eye on their flock, these sturdy, curved roof shelters were wheeled from field to field during the lambing season. Nowadays you can sleep in comfort with a good mattress and proper bedding and even sit and relax next to the wood burning stoves that keep you warm and dry all year round. 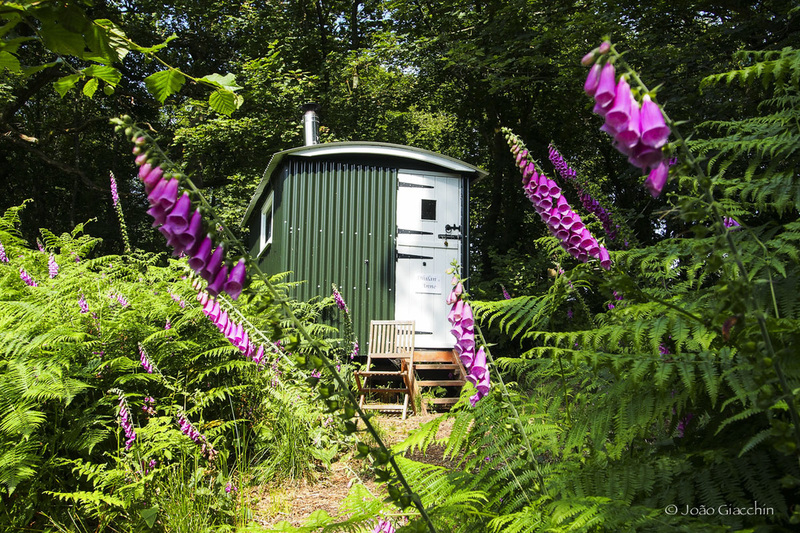 The Shower Hut is split into two mini bathrooms, both with shower, sink and instant hot water. Alternatively bask in the sunshine and enjoy the great outdoors with a solar shower in the trees. Please note you will need to bring your own towel. The toilet is a compost loo, it’s no different from home except you ‘flush’ with a scoop of sawdust instead of wasting water. Pretty, clean, odour free and helping the trees to grow. You will feel great by doing your bit for zero carbon! Classes and workshops will held outdoors so we can enjoy the nature around us. If need we also have a access to the 'Bales' the straw bale lodge. Friday- Arrive at 3pm. Light lunch will be served and we will have a bit of a mingle! 4pm Yoga class. 7.30pm dinner, 9pm yoga/evening relaxation. Saturday- 9am Morning Yoga, 11am Brunch, 1pm optional workshop, 4pm afternoon tea and snack, 7pm dinner, 8.30pm evening relaxation. Please note you will need to bring your own yoga mat and bath towels. Price includes Yoga classes, accommodation and food. * If you would like to book your place please email hana@mindfulmovements.co.uk. There is the option to make the payment in full or pay a deposit of £150 to hold your place (this is non refundable) and the remaining to be paid one month before the start date. The Green Escape is conveniently located less than one hour away by train from central London. Part of the National Trust woodland on Leith Hill the site is right in the heart of the Surrey Hills. The nearest train stations are Dorking or Ockley with a short taxi drive after. There is parking spaces on the neighbouring farm for up to 10 cars which is a 5 minute walk from the secret woodland.